A year after the Harvey Weinstein story first broke, India’s own #MeToo movement is finally taking off. Working women are coming forward on social media with stories and details of various forms of sexual harassment and misconduct. These stories, painful as they are to process, are necessary to read so as to engage with some important questions that they raise: What is it that keeps the perpetrators of sexual harassment and misconduct continually in positions of power? What keeps victims silent? And above all else, what steps need to be taken to remedy this? One often overlooked frame of reference to keep in mind while responding to these questions is that of economics. Understanding sexual harassment as an economic problem is crucial: It is no coincidence that many of the allegations being raised are pointed at members of society with extensive economic influence and power over their victims. Many of the (carefully curated, often hedged) responses by companies linked to these individuals can be interpreted both altruistically and as an attempt to mitigate an impact to the bottom line. It is also no coincidence that victims have often been unwilling to use the legal and political frameworks that exist to protect and enable them to come forward. There are economic relations that exist between everyone involved: between alleged perpetrators and victims, between victims and the economy at large and between the public and the companies that employ alleged perpetrators. These relations encompass a number of power dynamics that help keep victims silent and perpetrators in power, as the experiences of the American media in connection with the Weinstein allegations show. Understanding how these relations played out in the year since that story (and the resultant flood of allegations) broke goes a long way toward explaining what India can expect of its own #MeToo moment and how we can go about fighting back. The current economic power that a perpetrator often has over his employees or colleagues is extensive, particularly at a time when patterns of employment are changing and future financial stability is in question. Employers and entrenched senior figures have more power than ever in determining the future prospects of young professionals. The media industry is particularly vulnerable to this fact: Jobs are made or broken based on how hierarchical higher-ups review and recommend younger professionals. Being blacklisted for not “playing ball” can be career ending. When this is coupled with an industry that has always had cultural issues with how it treats women, it comes as no surprise that women were still willing to meet with Weinstein despite being informed of his background and then later chose to keep silent. Often, the only real choice apart from ‘playing ball’ was to simply leave the industry altogether. An associated phenomenon is that of senior figures protecting their colleagues and fellow perpetrators. The question is often asked: Why did no one around Weinstein speak up? A simple answer is that there was little short-term financial incentive for those in power to do so. Miramax Films, which Harvey Weinstein and his brother founded, was a profitable business, as was The Weinstein Company in its initial year; for Weinstein’s colleagues to have spoken out as individuals at the height of his success would have meant jeopardising their own financial and job security. At the same time, attempting to use mechanisms that are designed to hold senior figures accountable (such as the board of directors) would have been a hard sell because the primary motive (i.e., creating profits) was still being met. The relationship that many victims have with the larger economy is equally important in explaining why they don’t speak up and why they are unable to leave situations of harassment. A November 2017 report commissioned by the Centre for American Progress details how harassment is not only a broad-based socioeconomic problem, but that lower-wage workers often face stronger power dynamics that allow employers to harass them without retaliation. They are unable to speak out because to do so could risk retaliation in the form of job loss or wage cuts, both legally and illegally. In a country like the US, where falling back on social security is often seen as a weakness, it is no surprise that victims were reluctant to just quit or try to speak out. To do so would risk placing them in an economically vulnerable situation. Putting up with harassment was seen as the better choice. In India, where a more robust social security net exists, the reluctance to come forward is also attributable to cultural and caste dynamics, but the economic compulsions still cannot be discounted. Once allegations of sexual harassment are made public, the big question that arises is how the companies and businesses associated with alleged perpetrators will react. Do they cut ties? Do they attempt to ignore the problem until it goes away? Do they come out in support of their clients, who represent significant revenue streams for them? What steps these businesses take is as much a function of economic expediency as it is ethical decision-making. It is based on their relationship with and (perception by) the public at large. Progressive politics is currently good business, but companies have proven themselves more than willing to take steps that are progressive for gender in appearance rather than in substance. Understanding how economic structures and systems enable sexual harassment is one thing; counteracting them is another. How do we use the knowledge of these structures to begin dismantling and negating their effect? We first need to generate more research and data on sexual harassment, particularly in India. The need for more data to help guide discourse and public policy was voiced by various organisations following the Weinstein story, as most of the data on the economic costs of sexual harassment was either outdated or scanty (one major study being used to discuss the economic costs of sexual harassment was conducted in 1988). Particularly important (and sadly very challenging) is the need to gather data on the direct and indirect economic costs of ignoring sexual harassment, both to businesses and the economy at large. Sexual harassment costs companies in terms of lost hours and employees, legal costs, fines and public perception. Putting a rupee value on these costs would go a long way toward encouraging companies who are profit motivated to restructure accordingly. The next step should involve looking at ways in which to widen and strengthen the social security nets and other systems that will encourage victims to come forward without risking their financial stability. These same systems need to be developed to make the economic costs of maintaining status quo in companies far outweigh the benefits, to encourage those in power to speak up when they should. Finally, there needs to be concerted efforts to encourage consumer choices that align with gender-progressive companies. This is arguably the most challenging step to take as it not only involves individual action at a large scale but also because it requires information about actual steps taken by companies (to thus avoid gendered pink-washing). In addition, it’s a step that lends itself predominantly to upper and middle class households. Still, consumer activism remains a viable low-effort individual step. There are many more steps that need to be taken, of course. Only addressing some of the economic disparities that enable harassment will not mean that harassment will stop. Indeed, an over-reliance on an academic approach to something that involves real people and real, human emotions is dangerous. Ultimately, sexual harassment and the #MeToo movement generate difficult questions and no easy answers; they involve an interplay of power structures, cultural issues and other dimensions and all indications point to a long, painful process that may not yield any actual meaningful results. 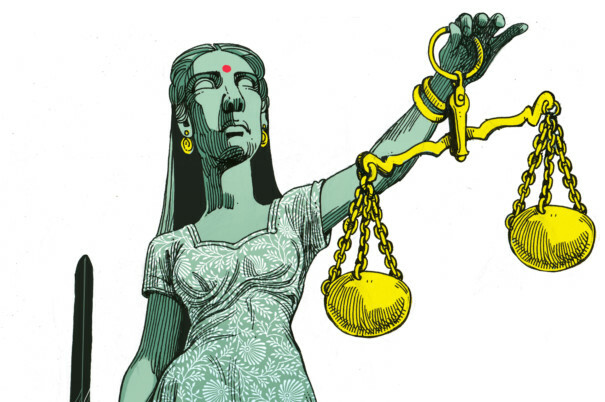 Economics is neither the only nor the most important lens with which to view and understand why sexual harassment remains a systemic issue, particularly in a country like India. Still, in the long arduous path to a more progressive society, we need to use all the tools we can get our hands on.